The truth is that our veterans cemetery does not need saving — except from these out-of-town mercenaries who want you to sign their fraudulent petition! They pretend that they support our veterans when the truth is that if their petition succeeds, the veterans cemetery will be (at best) delayed and likely destroyed. They pretend to have grassroots support, but the truth is that they are paid out-of-town mercenaries, while the current “Strawberry Fields” location of the veterans cemetery is supported by every veterans’ organization and a formidable bipartisan array of local officials from across the political spectrum. They will lie and tell you that they want the veterans cemetery to be in the Great Park, when the truth is that the original (and highly contaminated) was never in the Great Park. They will not tell you that the current “Strawberry Fields” location was once part of the former El Toro Marine Base, which was the last American soil that many Marines stood on before they left for World War Two, Korea, and Vietnam, never to return. They will not tell you that creating the veterans cemetery in their preferred location would cost the taxpayers $80 million in decontamination and demolition before the cemetery could even start to be built. The truth is that the land exchange that the petition seeks to stop will ensure that the Veterans Cemetery is build faster and with approximately $80 million in savings for state and local taxpayers. Now they’ve brought in hundreds of out-of-town paid signature gatherers from Los Angles, San Bernardino and Oakland and put them up in hotels. This weekend, other anti-petition volunteers and I were threatened and menaced multiple times by these out-of-town paid signature gatherers. One of these paid mercenaries threatened me and then grabbed my sign, hit me with it and tore it up. He ran away when I called the police, but was caught when pointed out by several witnesses. He later told the police he was a “political consultant” who lived in Colorado. I got a cup of coffee, took a shower, and went back out. I will not be silenced. I will continue to fight for those who fight and have fought for America. It is an honor to do so. If you can help us defeat these mercenaries who have invaded Irvine and their malicious petition, please contact me at melissa@melissafoxlaw.com. If you’ve signed one of these petitions because you mistakenly believed it would “save the veterans cemetery,” you can easily revoke your signature by filling out a simple form. Please contact me at melissa@melissafoxlaw.com and I will get this form to you. As the daughter of an Orange County Korean War combat veteran, and the cousin of a Marine who was killed in action, I strongly support this land exchange that will greatly facilitate making an Orange County veterans cemetery a reality. I am tremendously proud to have participated in making sure that Orange County’s veterans – who have sacrificed so much for us – will at last have a final resting place close to their families and loved ones. Please contact me to help. This entry was posted in Uncategorized and tagged AB 1453, Agran Audit, agranaudit.com, American Legion, American Legion 29th District of Orange County, American Legion Saddleback Valley, American Legion Saddleback Valley Post 862, Army, Assembly Bill 1453, Assembly Member Sharon Quirk-Silva, Assemblywoman Sharon Quirk-Silva, Bill Cook, Bill Sandlin, California Assembly Committee on Veterans Affairs, California Department of Veterans Affairs, California Senate Veterans Affairs Committee, California veterans, California Veterans Affairs Committee, California veterans cemetery, CalVet, Chairman Bill Cook, Chaplain Bill Cook, Christina Shea, City of Irvine, Coast Guard, Congressman Lou Correa, Council Member Christina Shea, Don Wagner, Donald Wagner, Ed Pope, Ed Pope Agran Irvine, Ed Pope Irvine, El Toro Marine Base, El Toro Marine Corps Air Station, Frank Lunding, Governor Jerry Brown, Great Park, Great Park Cultural Terrace, Great Park Irvine, Irvine, Irvine California, Irvine City Council, Irvine city planning, Irvine Community News and Views, Irvine Community Services Commission, Irvine Community Services Commissioner Melissa Fox, Irvine Council Member Christina Shea, Irvine Great Park, irvine Mayor Don Wagner, Irvine Mayor Steven Choi, Irvine Melissa Fox, Irvine veterans, 시의회 의원 멜리사 폭스, JCC, Jerry Brown, Josh Newman, Korean War, Larry Agran, Lou Correa, Marine Corps, Marine Corps Air Station El Toro, Marines, Mayor Don Wagner, MCAS El Toro, melisafoxblog.com, Melissa Fox, Melissa Fox blog, Melissa Fox for Irvine, Melissa Fox Irvine, Melissa Fox veterans, melissafoxblog, melissafoxblog.com, melissajoifox, Navy, Nghị viên Melissa Fox, OCVMP, OCVMP Committee, orange county ca veterans cemetery, Orange County Great Park, Orange County veterans, Orange County veterans cemetery, Orange County Veterans’ Memorial Park Committee, Riverside Veterans Cemetery, Senate Veterans Affairs Committee, Senator Josh Newman, Sharon Quirk-Silva, Southern California Veterans Cemetery, Southern California Veterans Cemetery legislation, Southern California Veterans Cemetery Perpetual Maintenance Fund, stolen valor, strawberry fields, United States Department of Veterans Affairs State Cemetery Grant Program, V.A., veterans, veterans cemetery, veterans in California, veterans in Irvine, veterans legislation, veterans legislation California, VFW Bill Cook, Vietnam War, War on Terror, 市議員梅利莎福克斯, 市议员梅利莎福克斯, 一員メリッ. Bookmark the permalink. 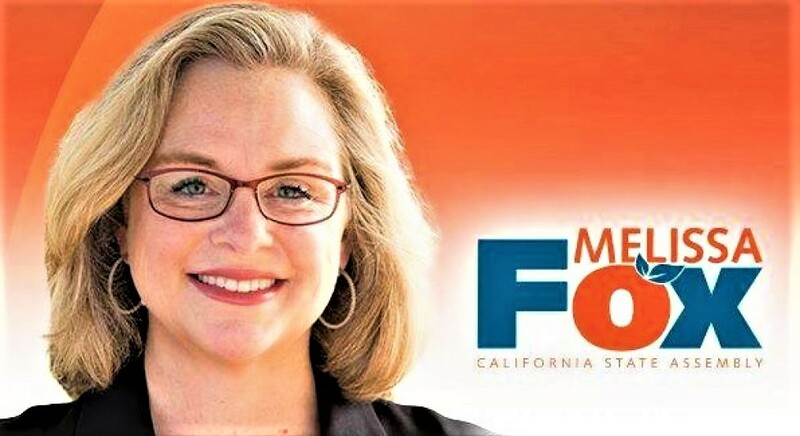 ← Melissa Fox Named “Best Politician” by OC Weekly!